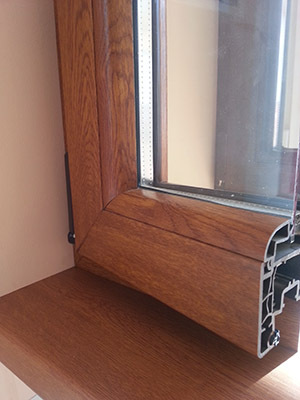 The window sill is placed in the base of the window, below the window casement, and is attached with screws. The window sill has both practical function and interior ornament one. When there is condensation, the water flows to the window sill, thus not being absorbed by the walls (plasterboard), the latex walls or the wallpapers. It is made out of high quality PVC material, strong facing and a lot of hollow chambers, that improve its insulating qualities. 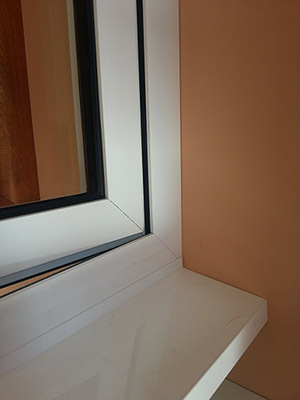 We offer window sills with different widths depending on the client’s needs – 150mm, 200mm, 250mm, 300mm. Rich colour options. Standard colours are white, marble, golden oak, dark oak, mahogany. All other colours are upon request. Important: The installment of a PVC window sill is done with the changing of the window framing. After the window framing is already installed, the installment of the window sill may be impossible in some cases. Installing an external aluminium window sill is an effective solution for you. It saves you the rendering, the forming with marble, tile, stone. The external window sill helps for water draining, helps prevent water and moisture placement between the window and the front wall. 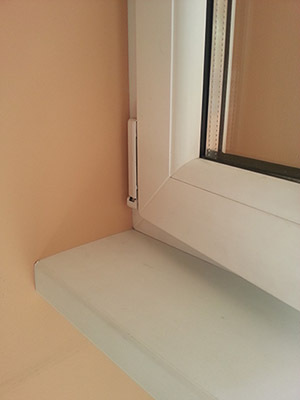 It is installed directly under the window casement and has factory made inclination. It is made out of aluminium. The offered widths are 110mm, 160mm, 210mm, 250mm, 280mm. Standard colour is white. Option for powder painting with RAL catalogue colours.